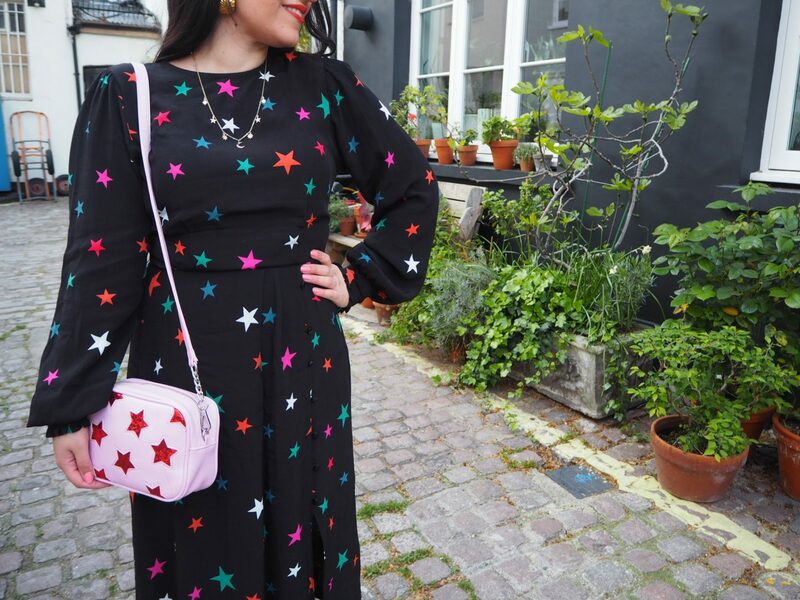 I’m going to do my best to keep this post short and sweet, because all I really want to say is that I freakin’ love stars – and I love this dress. Dress, Nobody’s Child (available here and here – keep checking the links to see if more sizes become available). Earrings, hand-me-downs from my mum. Necklace, ASOS (seen here). Ring, Accessorize. Bag, Skinny Dip London (seen here). Trainers, Vans (seen here). 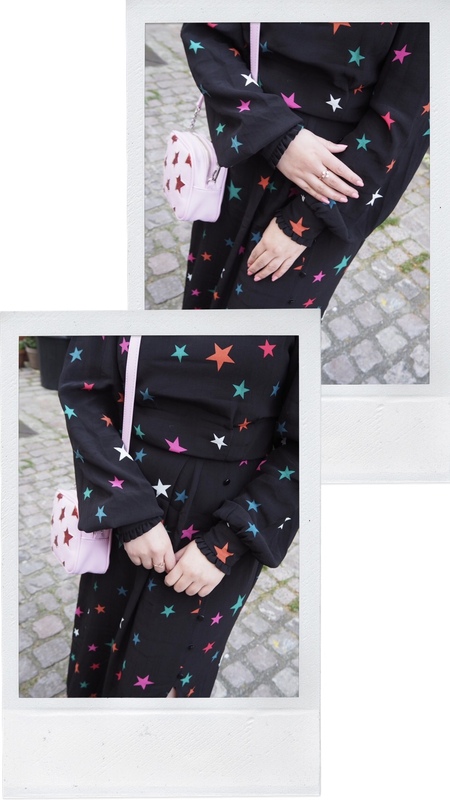 I have to say that when it comes to star prints and star-themed items, I’ve never gone as crazy about it as I have about other looks, such as pink and red or leopard print. 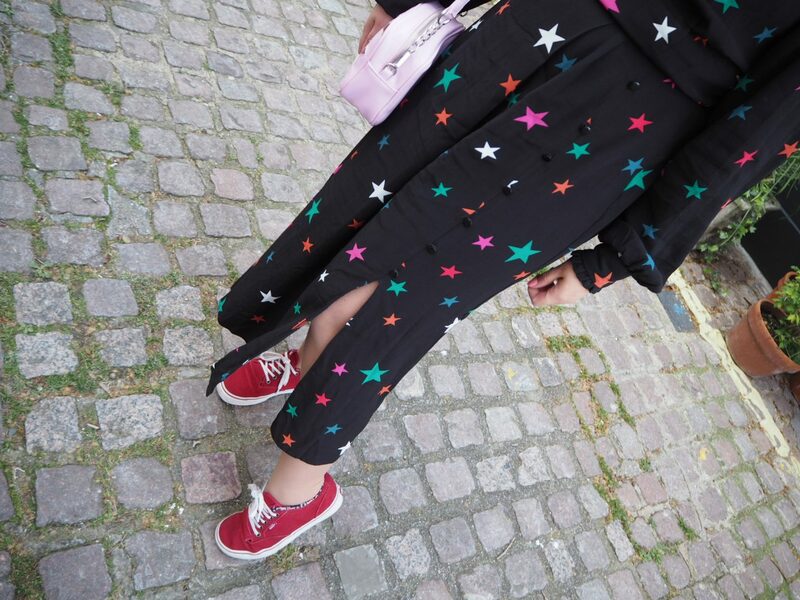 But that’s a good thing, as I really love all of my star-themed and print buys (such as these trousers, these jeans or this top). Then again, there is a chance my love for stars could get out of hand. 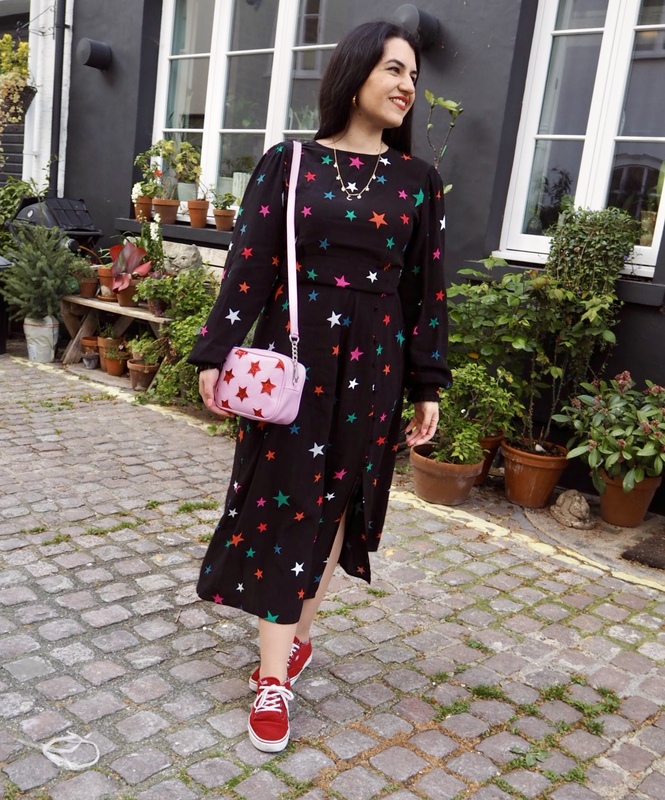 I already have a star print dress (seen here), but that didn’t stop me from wanting this one desperately – I have justified it in my head because they are pretty different. This was a pretty quick and straightforward “under the influence” buy – I saw at least one person wearing it on Instagram and I had to have it. It’s by Nobody’s Child – and as I already have this dress by the brand, I figured the cut would be similar. It’s even better than I imagined, I love how it drapes and find it super flattering, more so than my first Nobody’s Child dress. 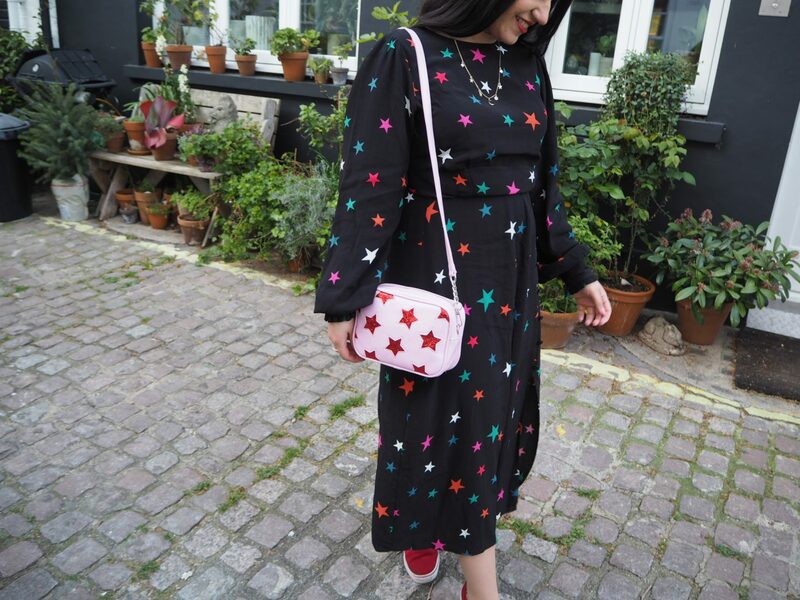 It’s not often I’m drawn to black, but naturally all the multi-coloured stars are what make this dress so special. In terms of sizing, I went for a 10 and wouldn’t prefer an 8, although the sleeves are super, super billowy. I also feel like it’s got witch vibes, but as I’m a Halloween baby I’m fine with that. I got it yesterday and put it on straight away, that’s how infatuated I am. 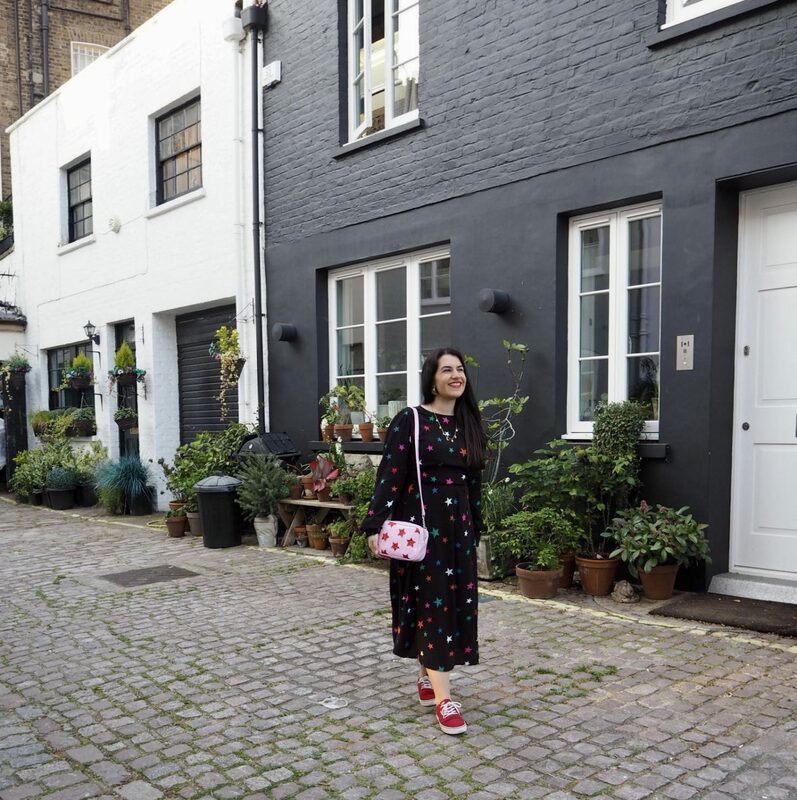 I wasn’t sure whether to team it with my red ASOS heels or my trusty old Vans trainers – I chose comfort in the end, but I have to say that I felt pretty cool in my dress and trainers combo. 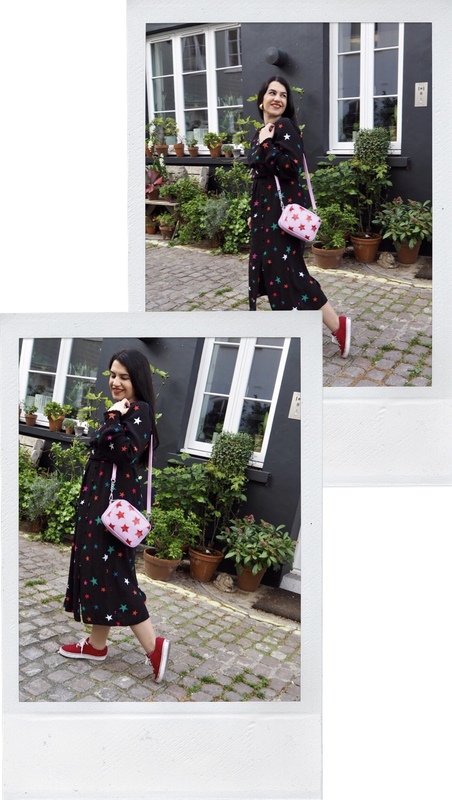 And because I still get a kick out of matching, I couldn’t help but carry my Skinny Dip star bag – although I’m not sure if I am 100% convinced if I liked how it looked with the dress and will probably choose another bag the next time I wear it. 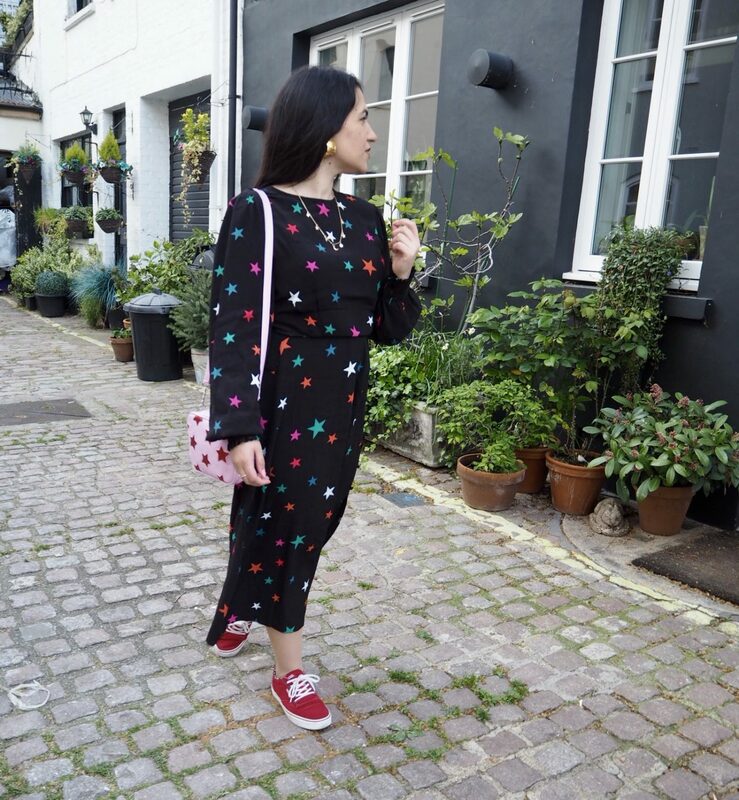 I kept my necklace and ring star-themed too – there’s no stopping my matching tendencies! One thing I don’t really like about this dress is the faux-button fastening – I just don’t like fake buttons, what’s the point of them? It would be so cool if they were the real deal. I am considering removing them, although I probably won’t because I do like how they lead to the split so nicely. 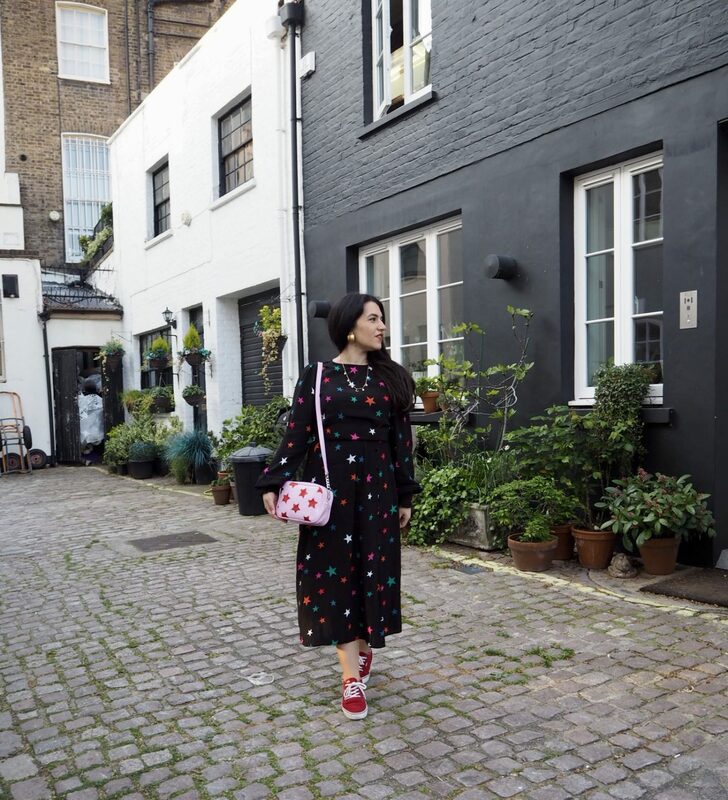 As mentioned, this is a super recent #ootd – I wore this yesterday for the private view of Dorothy Circus Gallery‘s newest group exhibition, Mother & Child (post coming soon). 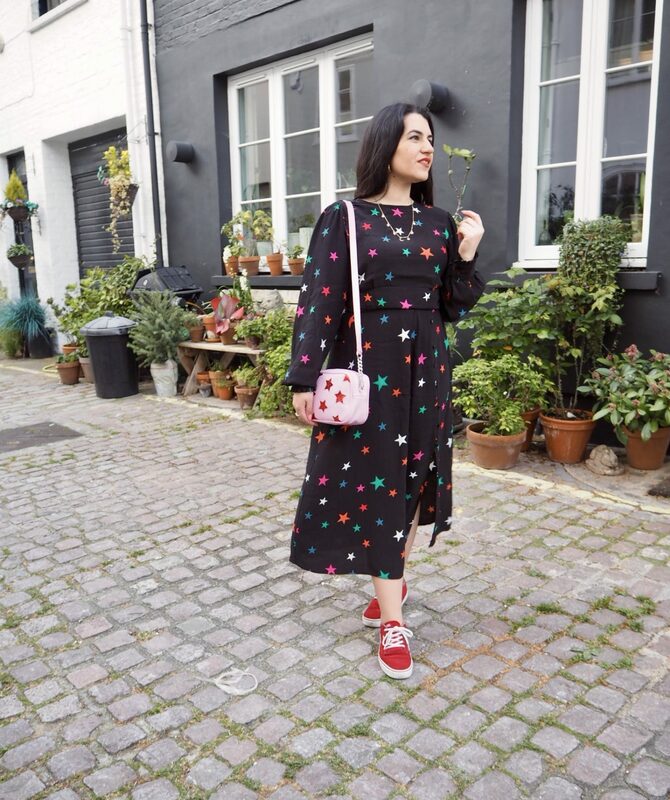 Annoyingly it was pretty chilly – I am longing for the days when I can wear this dress with just a jacket or a cardi. Although a part of me doesn’t want it to get too warm just yet, as I want to wear this dress as much as possible! 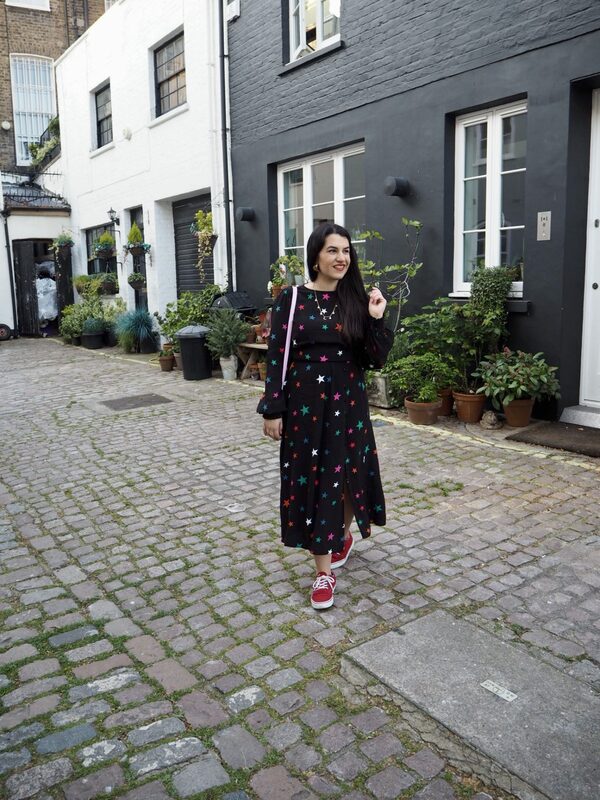 Pictures taken in Connaught Village, London, on 11.04.2019.